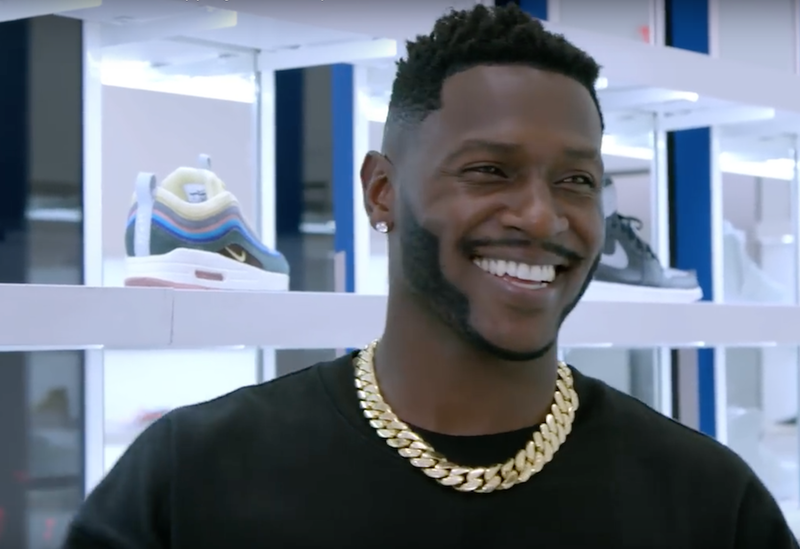 NFL wide receiver Antonio Brown hits up Kith Miami with Complex’s Joe La Puma for their latest installment of Sneaker Shopping. During the episode, AB talks about his mom lining up to buy him Air Jordans, his friendship with Odell Beckham Jr. and of course his 1-of-1 custom cleats. He also shares how he linked up with Drake for the “God’s Plan” video. Take a look at the entire video below and let us know your thoughts on what Antonio Brown ended up copping. You can also go inside AB’s insane sneaker closet here.